The Stuart Highway through Heavitree Gap (Ntaripe) is the primary route connecting the north and south of Australia. Future traffic modelling show that it needs to be upgraded to meet future needs. Engineering consultant, SMEC has been engaged to investigate a long-term infrastructure solution for duplicating the road through the Gap. Their work will be considerate of all road, rail and pathway user needs, cultural and environmental values, safety, travel efficiency and aesthetics. Why is this planning study needed? This project is about working with the community on ideas that might be viable to upgrade the road, when the need arises. In 2016, the department undertook research to predict future traffic conditions for Alice Springs in 10 and 20 years, based on medium growth scenario identified in the 2009 Alice Springs Land Use Study. 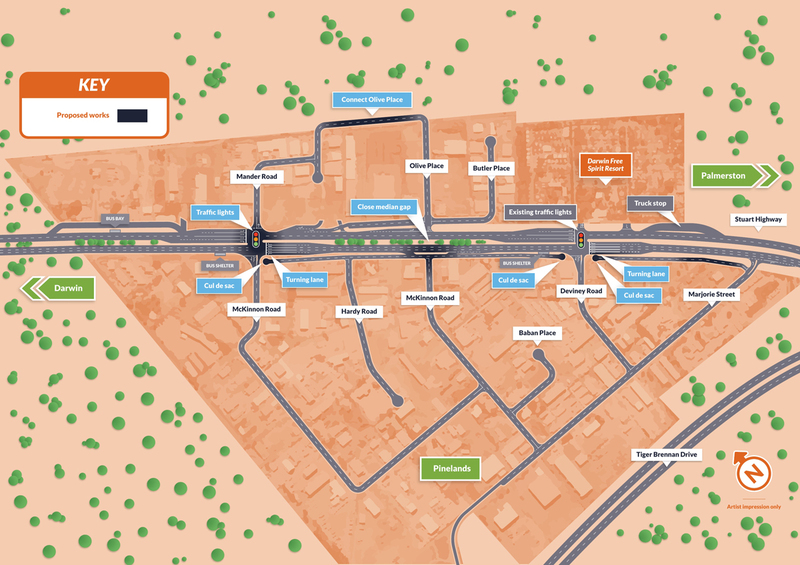 The 2016 Alice Springs Regional Traffic Study revealed that improvements will need to be made to some parts of the road network in order to maintain a safe and efficient network. 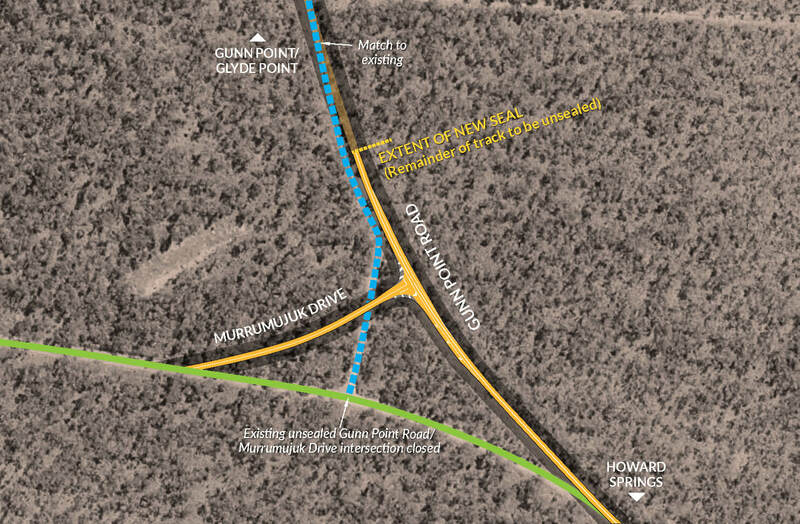 This includes duplicating the Stuart Highway, through Heavitree Gap. The Gap is reasonably narrow and constrained by the road, the National Railway line and the Todd River. There are a number of Aboriginal sacred sites, heritage sites, as well as power and water services that are also located in The Gap. It is important to consider all of these factors in the planning process to ensure we get the design right for the long term future of Alice Springs. The MacDonnell Ranges and the Todd River are valued highly by the Alice Springs community, and are an icon for Australian tourism. We will engage with the community of Alice Springs to ensure everyone has an opportunity to have a say about the project. 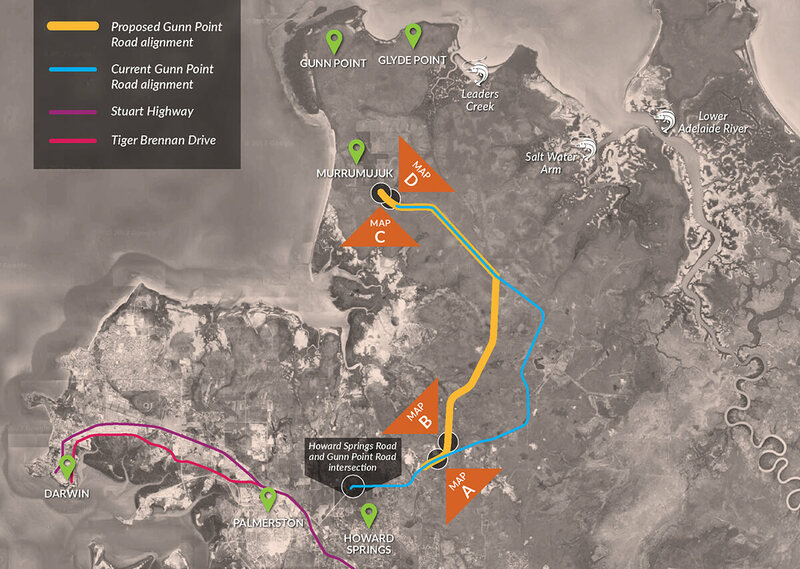 To register your interest in finding out when consultation stage 2 is open, please email us at transport.planning@nt.gov.au or call us on 8924 7118 to speak with the Stakeholder Engagement Manager. 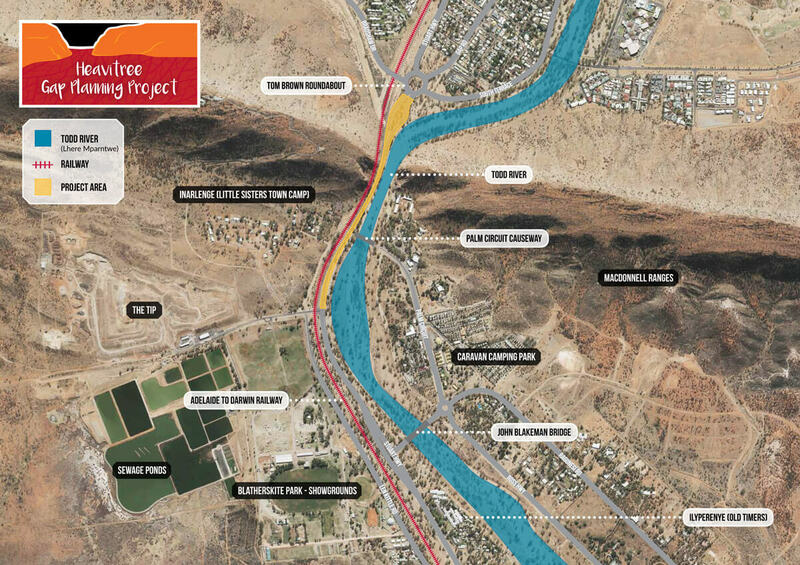 The project team will be meeting with key stakeholders as part of the planning for this project, including Alice Springs Town Council, Tangentyere Council, Alice Springs Flood Mitigation Committee and Town Camps. For more information download a copy of our fact sheet (5.5 mb) or frequently asked questions (5.5 mb). The Department of Infrastructure, Planning and Logistics has engaged local engineering consultant WGA to undertake a review of Dundee Beach Carpark to identify a long-term plan to address parking demand. 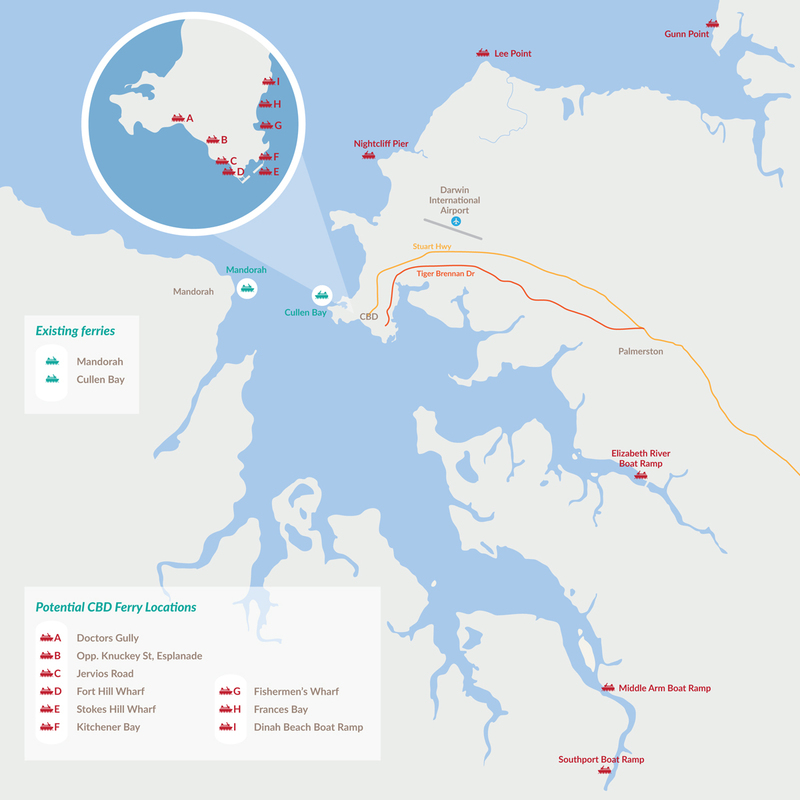 Since the construction of the concrete self-launch boat ramp in 2016, use of the area by recreational fishers and tourists has increased, resulting in an increase in parking demand and carpark capacity issues at peak times. Overflow parking is temporarily accommodated within the Dundee Beach Holiday Park car park. modifications to existing infrastructure where required. Key stakeholders will be consulted as part of the review. Users of the area will also be invited to comment online and through intercept surveys when the project team is on site. To find out more about the project, contact Casey Lovelock, Stakeholder Engagement Manager on 8924 7118 or transport.planning@nt.gov.au. This is a planning study only. The project is subject to further government and budgetary processes. 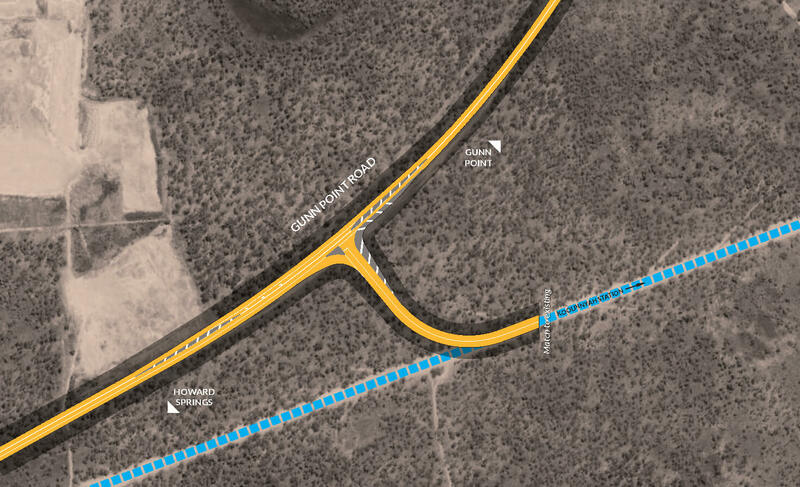 Works to upgrade the Stuart Highway north of Alice Springs from the Motor Vehicle Registry to the Herbert Heritage Drive intersection are in progress. 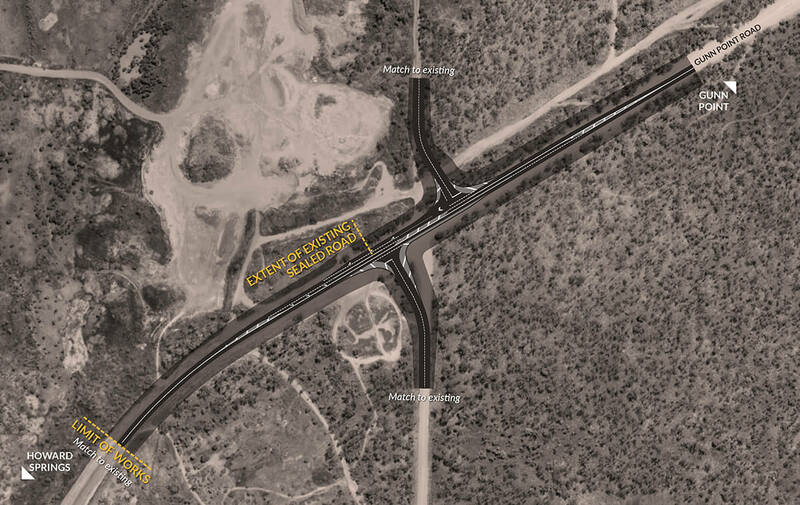 This project is funded by the Australian Government under the Road Safety and Fatigue Management Initiatives. This upgrade will address safety issues, increase capacity, improve flood immunity and maintain an efficient transport corridor. Construction is being undertaken between 6:30am and 6:00pm Monday to Sunday. Within these hours there will be restrictions to contractor activities during peak traffic times to ensure that the impacts to road users are minimised, however there will be some disruptions to traffic with lane closures and temporary speed restrictions. Please adhere to any traffic management in place. The section of Stuart Highway between Herbert Heritage Drive and Woods Terrace will remain single carriageway at this stage. Planning is underway for future upgrades to this section of the highway. Improved access to the information bay.